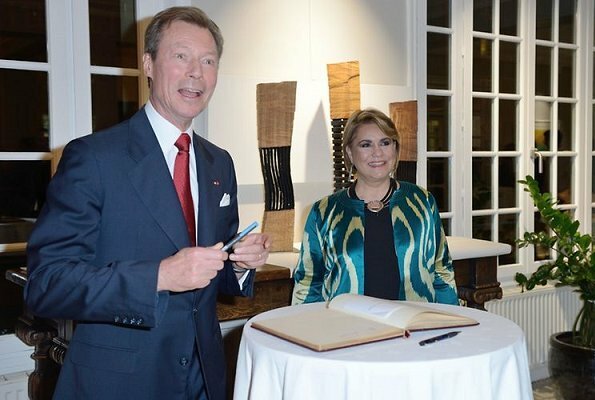 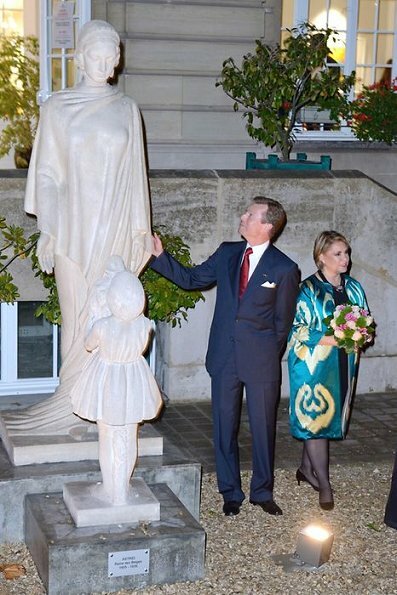 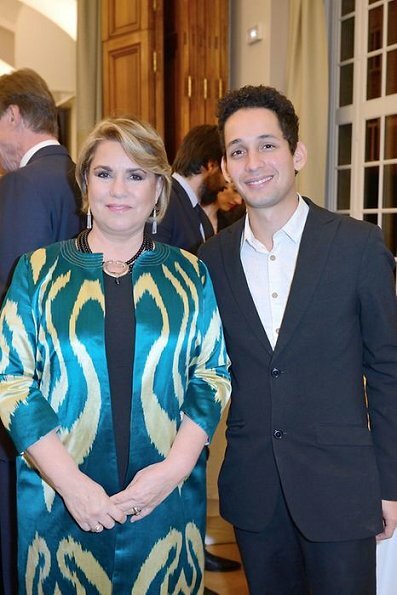 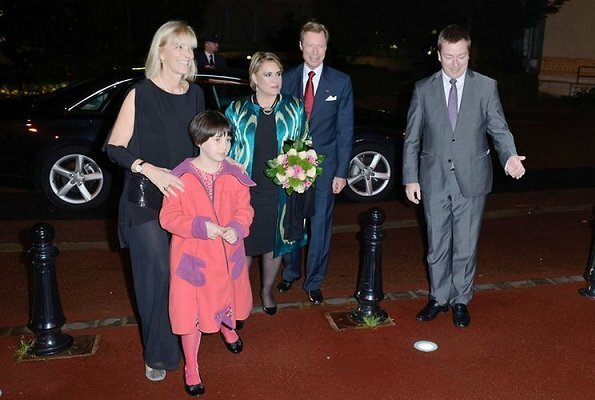 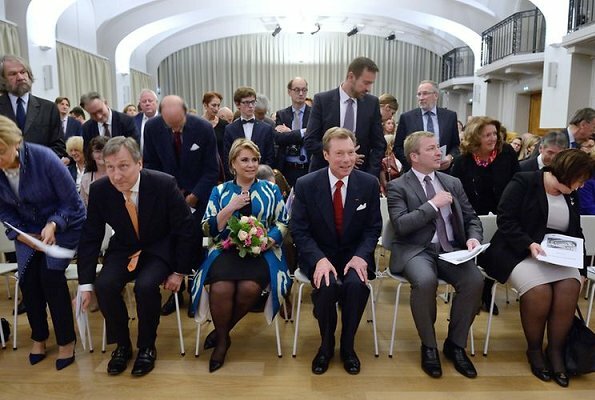 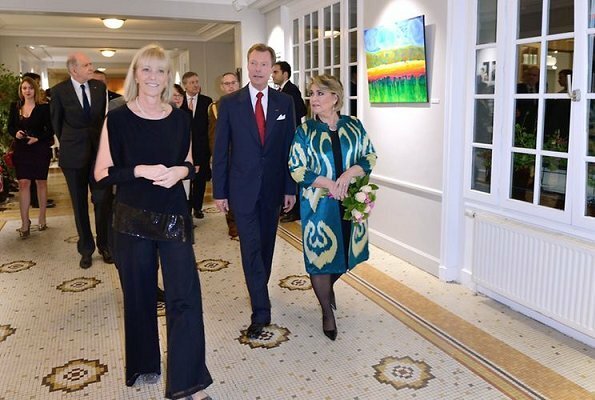 Grand Duke Henri and Grand Duchess Maria Teresa of Luxembourg attended 90th anniversary reception of Biermans-Lapotre Foundation, held at Cite Internationale Universitaire de Paris (CIUP) in Paris on November 4, 2017. 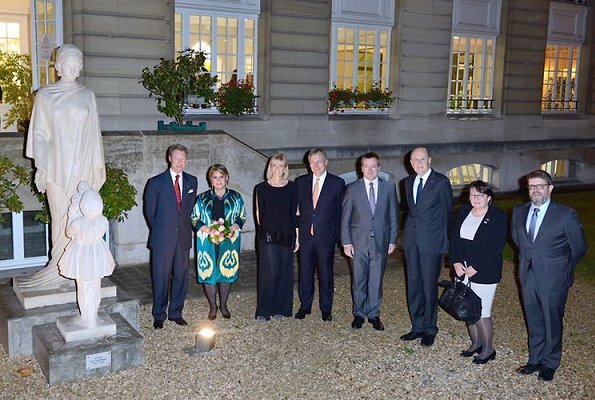 Biermans-Lapotre Foundation was established within the structure of CIUP and is a dormitory which provides accommodation to mainly Belgian and Luxembourgian students. 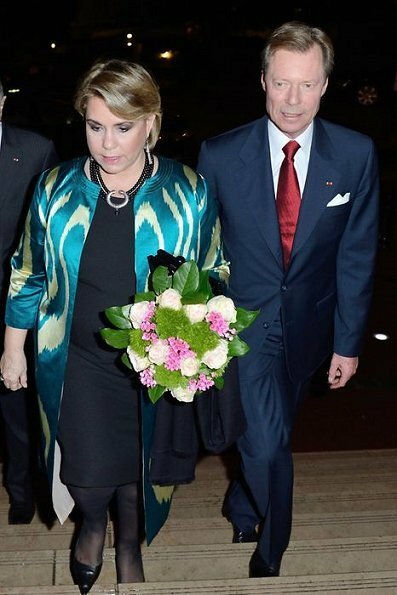 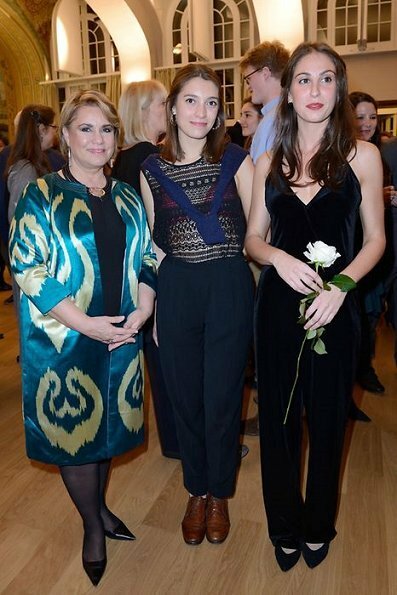 I like the coat and its colours but the pattern looks like a rorschach test.